League Two side Stevenage have signed Tottenham Hotspur defender Connor Ogilvie and Crystal Palace goalkeeper Chris Kettings on loan. 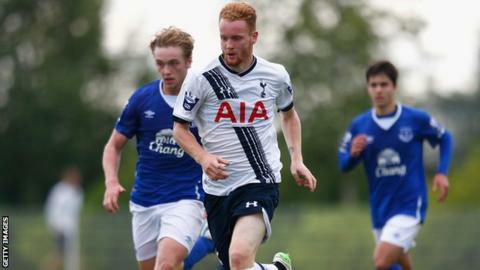 Ogilvie can play at left-back or centre-back, but has yet to play a first-team match for Spurs. The 19-year-old played 16 times in the Under-21 Premier League last term and has joined on a one-month youth loan. Former Manchester City and Blackpool youngster Kettings, 22, has moved on a one-month loan.